Marutama Ra-men has been around in Singapore for a few years. It has been receiving many good reviews - even claims that it has one of the best ramen noodles in Singapore. There are four Marutama Ra-men outlets in Japan, five in Singapore, and some in Malaysia, Indonesia, and Thailand. Marutama Ra-men serves Tokyo style ramen with chicken and soy as the base of the broth. 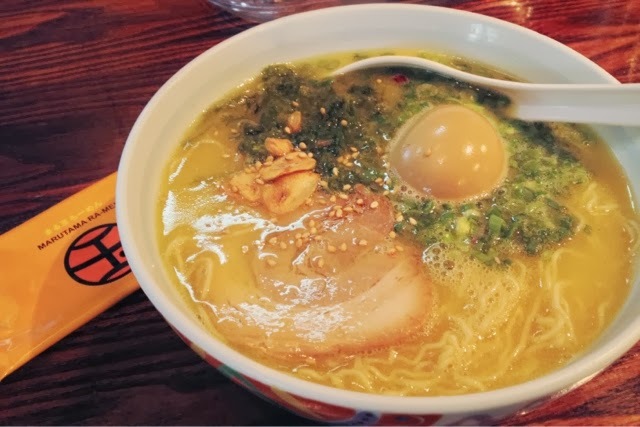 There are four choices of ramen broth: Marutma Ramen (original chicken broth with chasu, negi, and aosa nori), Karashi Ramen (spicy chicken broth with chasu, negi, and aosa nori), Aka Ramen (chicken broth with mixed ground nuts with meatballs, negi, and aosa nori), Tanmen (chicken broth with vegetable toppings). 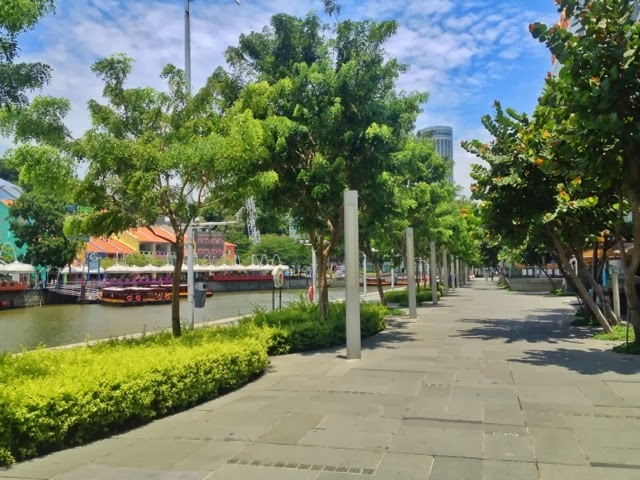 On Monday morning, I went to Clarke Quay as a part of my work. I have planned to dine at Song Fa Bak Kut Teh for lunch, but alas, it's closed. I guess almost all popular Bak Kut Teh joints are closed on Mondays. They say, people did not butcher the pigs on Monday - that's why. In the midst of my disappointment, I remembered a list of Japanese food at Liang Court that has pretty good reputations. I chose Marutama Ra-men. It was around 12.30pm when I reached Liang Court, and to my surprise, there is not much people inside of the building, just like outside. Can you imagine Clarke Quay (read: Singapore) being so empty during lunch time? I can't. I went into the restaurant and immediately got a seat. I was seated at the counter, so I had a good view of the ramen masters preparing their dishes. The tables were almost fully filled by people grabbing their lunches. During my time there, the counter was filled with other five people from just myself only. The menu at Marutama Ra-men was pretty simple. Only a piece of paper, double sided - one face English, another Japanese. The toppings of the ramen are very insignificant: aosa nori and negi, and either a slice of chasu, or three meatballs, or just mixed vegetables. Which means, you have to order additional toppings or side dishes. I ordered the Karashi Ramen ($12) with AjitsukeTamago ($1.50) and a side dish of Kakuni ($7). I added some dried garlic slices and sesame seeds on top. I really love the fragrant of the dried garlic when I bite into them. The first spoon of the broth tasted pretty nice and comforting in the throat. The aosa nori was really nice, and needless to say the Ajitsuke Tamago was cooked to perfection. Nevertheless, the chasu was terrible - it was not tender, tasteless, and just unappetizing. The portion of the noodle was huge. It can feed three people I think! After a few bite of the ramen and a few spoon of the broth, I started to not enjoy my food anymore. The taste was off - the combination just wasn't right. It's neither spicy nor mild. It's in the border of too salty. And the ramen just reminded me of the soggy instant noodle that I left boiling for too long a time. I ended up not finishing my noodle and broth. What is the other thing that can be worse? The side dishes was not too amazing either. 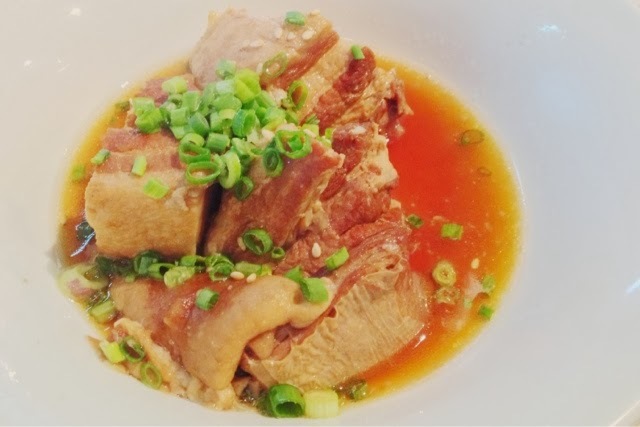 I imagined tender, juicy pork belly that is well braised such that the fat has been rendered perfectly with the meat. What I got? Tough juiceless meat with fat. The fat is nice, but the meat is not. The broth was just ok. The dish was just too fatty for me to finish. It was such a disappointing lunch experience. Nevertheless, I regretted that I did not order the Aka Ramen and the side of Yaki Chasu. The lady who sat beside me, who seemed to be a regular, ordered the two dishes. I am not sure about the Aka Ramen, but the Yaki Chasu did look yummy - fatty and juicy chasu beautifully grilled. Maybe next time. On the walk back to the MRT, there was still no people in Clarke Quay at all. I managed to took a shot from the Central. Unbelievable isn't it!